The perfect holiday outing close to home! 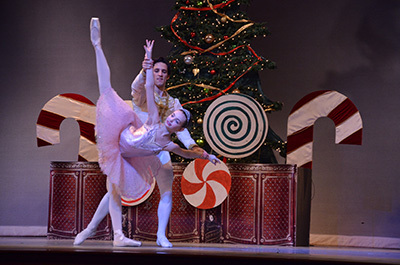 Come and begin your holiday season with a Christmas favorite, “The Nutcracker.” This classic ballet is performed by the dancers of Claudia Rudolf Barrett’s ballet tech of ohio, and features guest artists Cervilio Amador (principal dancer, Cincinnati Ballet Company), Edward Gonzalez (Cincinnati Ballet Company), as well as Sergei Pakharev (formerly CBC). – Sat., Nov. 18, 2:00 p.m.
– Sat., Nov. 18, 7:00 p.m.
All performances will be held at Little Miami High School, 3001 East U.S. 22, Morrow, Ohio 45152. Purchase tickets now! Ticket prices are $20 for adults, $15 for seniors age 60 and over, and $12 for children ages 3-18.